Many of the energy-saving activities that homeowners go through to ready their homes for winter are similar to what they can do during the warmer months to keep their homes cool. The same steps can keep warm air from escaping your home in winter and air-conditioned air from slipping away through badly insulated doors and windows in summer. When it comes to adding appliances that will augment your main heating system or air conditioning units, you can use space heaters in winter and room fans in summer. Homeowners should use the same criteria when they buy such devices by looking for heaters and fans that have been certified for safety by testing organizations such as UL or ETL. You should also buy units that are suited to particular areas of the home or for certain tasks. For instance, a pedestal heater will quietly send warmth up over furniture at seated height, a personal heater will throw just enough heat for a small comfort space – great for all seasons – and a wall mount fan will disperse cooling breezes without taking valuable floor spaces in kitchens. There are a variety of heaters and fans to meet just about any home comfort situation. 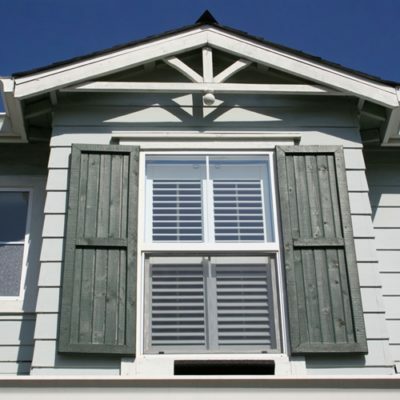 Weatherization around doors and windows includes several steps for optimal effectiveness. Any cracks should be filled and weather stripping applied around the openings. A door sweep is easy to install with an adhesive strip along the bottom of the door. The door sides and top should have self-stick foam strips added to the frame. According to the American Institute of Architects, even small leaks around your windows can do as much damage to energy efficiency as door drafts. Seal up gaps with caulking or self-stick weatherstripping to save energy and money. Programmable thermostats are useful throughout the year to keep the temperature in your home at a comfortable, consistent and efficient level. Once set, they automatically remember to turn the heat down for you. For each degree lowered, you can save 1-3 percent off your heating costs. Storm doors and windows are a great help in containing warm air within a home during winter, but homeowners should replace them in spring with mesh screens, which will let in cooling breezes but keep out insects.